But it is not the defendants that have caused this label; it is the United States government’s malfeasance in prosecuting the men involved. Recent headlines have revealed the agenda of this administration to prosecute or destroy all who “disobey” their rules of engagement in a highly political atmosphere. US Army Ranger, Major Matthew Goldsteyn, was stripped of his Special Forces tab, his Silver Star medal, and is currently being processed after a failed attempt to prosecute him … because he killed an Afghani bomb maker. 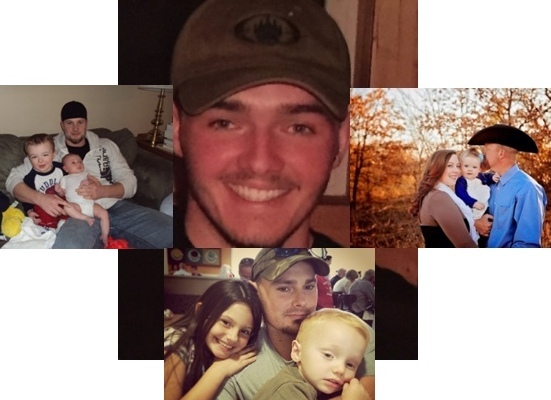 U.S. Army Lt Clint Lorance received a sentence of 19 years for ordering his men to fire on two men on a motorcycle who refused to stop when advised to do so- later tests revealed the presence of bomb-making materials on their hands. In addition, the government got his own men to testify against him in exchange for immunity. The motorcycle was stolen from the scene by a local before any forensics tests could be done. That didn’t matter. He now sits in Leavenworth. Why are these background pieces significant? Because many of the same vindictive methods were used to convict the Blackwater contractors. The highly charged atmosphere of politics and prosecution for men who felt themselves in danger during a war-time situation will be discussed in this series of articles. What of “collateral damage?” You decide if those factors existed to the extent that the government charged. And let us also see what was done to manipulate and obscure the truth. Paul Slough, Nick Slatten, Dustin Heard, and Evan Liberty were members of an elite team of Blackwater Diplomatic Security Specialists under contract with the US State Department. 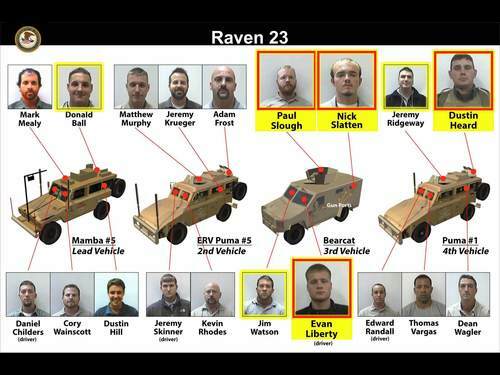 Their Tactical Support Team (TST) designation was “Raven 23,” which consisted of 19 members. 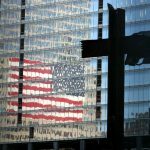 None of the four defendants, two US Marine veterans, and two US Army veterans were novices to combat, and all four had the experience and expertise to know how to control their actions and instincts. They were not the out of control half-crazed men that the media and the government portrayed. 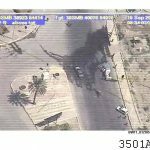 On September 16, 2007, Raven 23 received a distress call after a VBIED (Vehicle Borne Improvised Explosive Device) exploded on venue where a Blackwater protectee from USAID was located in Baghdad. The explosion was so large that it was seen from a satellite. In the 4-vehicle Raven 23 convoy, Slough, Liberty, and Slatten, were in the Command vehicle (#3), along with Shift Lead Jim Watson. Vehicle 4 contained Heard, government cooperator Jeremy Ridgeway, and three others. 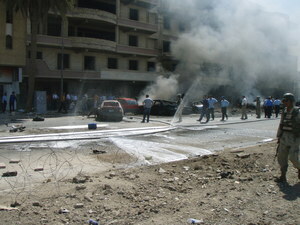 R23 heard the explosion and, as secondary TST, reported to their trucks. Nearing the gate, it quickly became clear that if they held back, a convoy of semi trucks would block their egress and render them unable to respond. 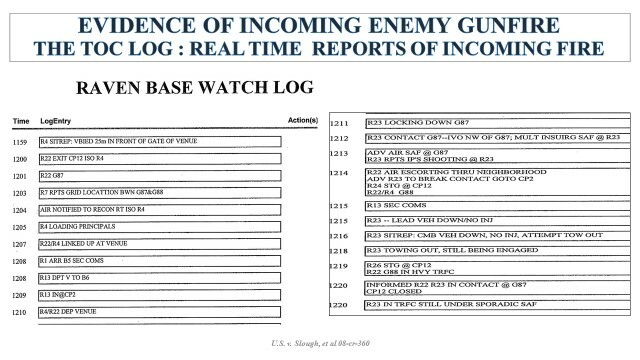 Shift Lead Watson (now a Navy SEAL) – opted to push out of the gate going the opposite direction, even though the TOC (Tactical Operations Center) told them to “hold.” Watson advised the TOC that he would turn around at Nisur Square. Once there, Watson decided to “lock down” the circle, as Nisur Square was secondary route option for the teams escorting the protectee back to the Green Zone. 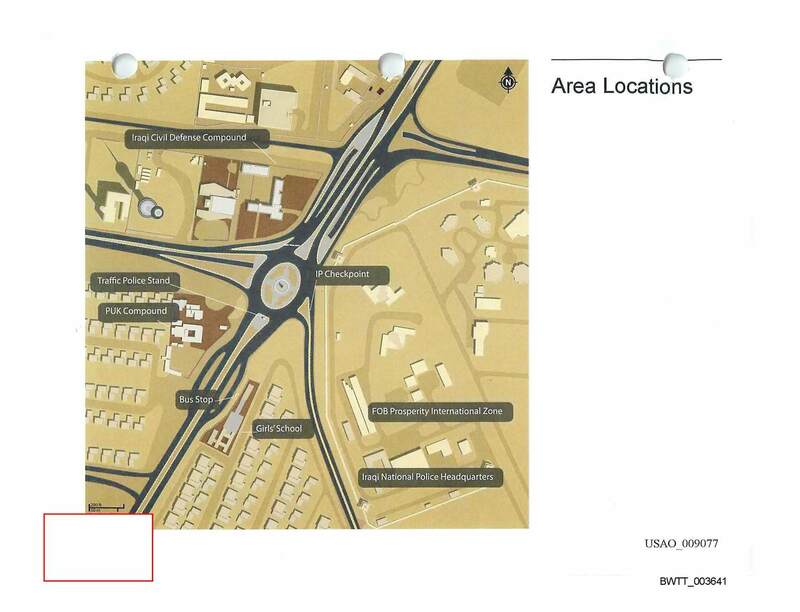 Raven 23 entered the traffic circle counterflow, and positioned their vehicles in a crescent shape from west to east, in the southern portion of the traffic circle. Suddenly, a small white Kia broke out the traffic in the northbound lane and continued toward trucks 3 and 4, and members of Raven 23 used “escalating force” measures to stop it. Almost simultaneously, the convoy began taking small arms fire from persons dressed as Iraqi Police. 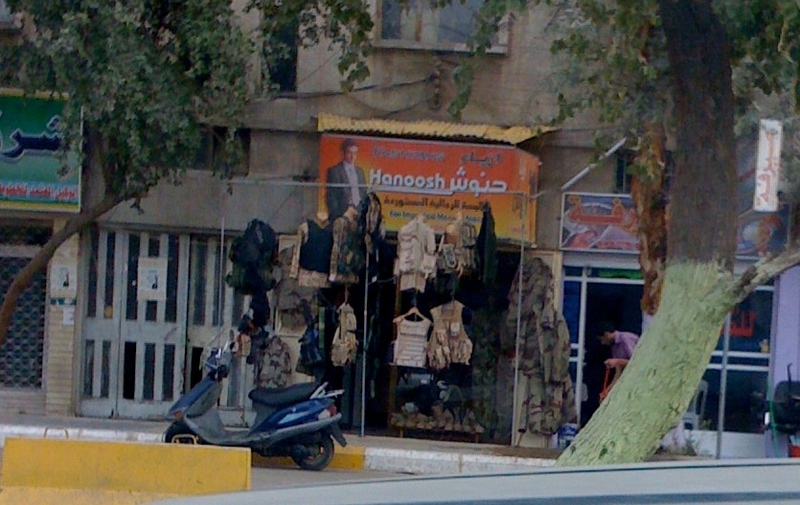 Police and military uniforms could be purchased from street vendors (see photo). The white Kia continued towards them, not stopping even as “escalating force” was used against it. It appeared to the convoy as if the vehicle was rolling or being pushed toward them. In the words of those close to the team, with car bombs, “inches count.” Force was used until the threat was neutralized- an appropriate ROE. 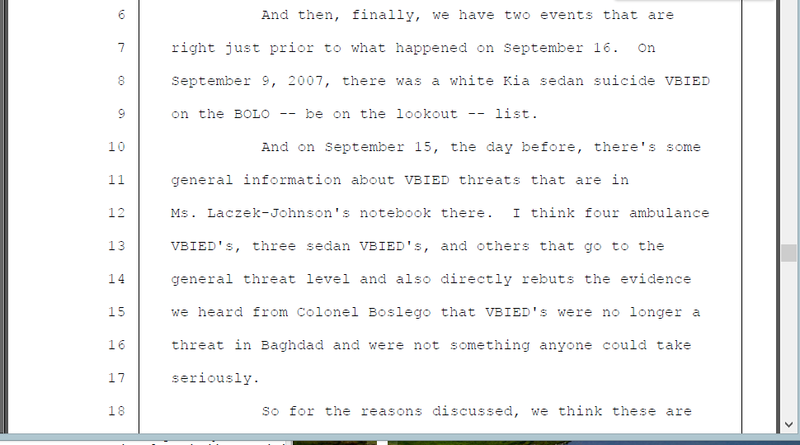 Perceiving the Kia as a threat was justified because 1) a VBIED had just been detonated, 2) a white Kia was listed on the BOLO list given at their security briefing, and 3) the enemy practice of creating one attack for the purpose of a larger attack. Eight team members testified that they perceived the vehicle as a threat. The men immediately notified their base about the incoming fire and vehicle, which was logged in the Raven Base Watch log. The prosecution “bitterly fought defense efforts” to introduce this evidence. Very early in the engagement, Raven 23’s command vehicle was disabled by an incoming round that skipped up from the pavement and went through their radiator. In a dangerous maneuver, personnel in truck 2 had to dismount and hook up a tow-line to the Command Vehicle. As he exited his truck, one person told his team, “Don’t let me get killed.” Tow line secured, Raven 23 then exited Nisur Square. What seemed like a simple case of an attack by insurgents rapidly became a nightmare. Look for more in Part II.